UPDATE: We are excited to announce Dr. Christopher DeMassi, recently-appointed AHC Affiliate, has been promoted to Chief of Neurosurgery at Memorial Healthcare System! He has been named as one of the top 100 Physicians in his state, as well as “Best in Medicine” at the American Health Council. 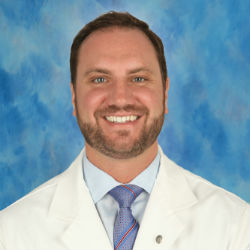 Recently appointed as Chief of Neurosurgery and standing Medical Director of Memorial Healthcare System in Hollywood, Florida, Dr. Christopher DeMassi brings with him five years in his position and fifteen years in total within the healthcare industry. The American Health Council honors and acknowledges Dr. DeMassi’s past and present feats within healthcare. Certified in Neurological Surgery by the American Board of Neurological Surgery, Dr. DeMassi specializes in complex and minimally invasive spine surgery, epilepsy surgery, surgery for movement disorders, head trauma, and brain tumor surgery. Colleges and institutions where Dr. DeMassi has studied include Georgetown University School of Medicine and The University of Miami, where he received a Fellowship in Complex and Minimally Invasive Spine Surgery. With expertise in various procedures, including epilepsy and brain and spinal surgery, Dr. DeMassi oversees all protocols related to the Memorial Spine Center on a weekly basis. As a former Medical Director, Dr. DeMassi also has leadership and administrative responsibilities and sits on several boards and review committees, including the Surgical Services Executive Committee, Level 1 Trauma Peer Review Committee, and the Chair of the Spine Committee. Dr. DeMassi has always shared a keen fascination by the workings of the human mind and body, observing surgeries at a young age and becoming involved in family pursuits towards mental health, leading to his current role today. Books have also played a vital role in Dr. DeMassi’s career, as extensive readings in Psychology and Medicine also honed his interests and curiosity. DeMassi has been awarded the Vitals Patient Choice Award in 2016, along with the Lawrence S. Lilienfield MD. PhD Award for Excellence in Physiology and Biophysics from Georgetown University School of Medicine, and is engaged in numerous charitable causes, including The Joe DiMaggio Children’s Foundation. Hobbies and interests of Dr. DeMassi include sports, travel, research, and teaching as an adjunct professor at The University of Miami. Since its inception in 1953, Memorial Healthcare System has been a leader in providing high-quality healthcare services to South Florida residents. Today, it is one of the largest public healthcare systems in the nation and is highly regarded for its exceptional patient and family-centered care. Memorial’s patient, physician, and employee satisfaction rates are some of the most admired in the country, and the system is recognized as a national leader in quality healthcare. Memorial Regional Hospital is the flagship facility of the healthcare system and is one of the largest hospitals in the country. It is a level 1 Trauma Center and a Level IV Epilepsy Center. Memorial offers extensive and diverse health care services that include Memorial Cardiac and Vascular Institute featuring renowned surgeons. Memorial Cancer Institute treats more inpatients than any other in Broward County, and Memorial Neuroscience Institute providing innovative technology and world-class physicians.